Prepare yourself for a magnificent treat, and at a most sensible and affordable price! This high elevation whole-leaf tea is grown and nurtured exclusively at the mountain mist line in Zhejiang Province, an area famous for some of China’s very finest green teas. TEA ReX® “Emperor Clouds & Mist” is a highly prized, first-grade Yun Wu tea — historically, a very rare and special pleasure reserved for only the select few. PLEASE NOTE: While we will make every effort to maintain a steady supply of this tea for our customers, our fifteen years of experience as your purveyor of fine teas tells us that special offerings such as “Emperor Clouds & Mist” often become suddenly unavailable with little or no notice, and should therefore never be taken for granted. Basically, you should try this extraordinary green tea at your earliest opportunity and, if it suits your taste, stock up on it while you can! A lush, flavourful premium green tea with a wonderful naturally sweet note. 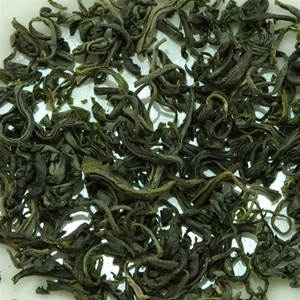 PRIVATE RESERVE: From China's Anhui Province, a celebrated full-bodied "yellow" green tea.